At this time of year, our senses of sight and smell are delighted with the bloom of daffodils and tulips seen all around. Those flowers are the ones who hibernated in the ground during our colder months and are bursting forth now in bright array symbolizing once again re-birth and renewal. We should align ourselves with their example and radiate their beauty from within by honoring our bodies. Here’s my Beauty Tip for April and beyond~ Go Outdoors first thing in the morning~ out on your patio, or on your balcony and BREATHE in slowly through your nose and out through your lungs via your mouth audibly at least 7 times to stimulate and balance all your chakras, and therefore, all your body systems. Next, do some easy stretching along with this focused breathing. If you also then do yoga poses for 15-20 minutes, you will feel even more energized. Wait to feel the effects, and follow after 20-30 minutes with a freshly squeezed juice or a lovely Blueberry Coconut Milk Smoothie*~this can be as easy as adding 1/3 cup of fresh or frozen organic blueberries with a cup of organic coconut milk to your blender; adding half a banana or 1/3 cup of diced mango adds both substance and extra nutrients to this nutritious drink. If you wish, add one Tablespoon of protein powder. Start your day on the right, healthy track and it will surely continue that way. So, in an hour, savor a fresh, bright orange Papaya with Nancy’s organic cultured cottage cheese for a high protein breakfast and enzymatic benefits. Skip the coffee, and, instead, take a fresh brewed herbal tea (warm or lightly-iced) to go with you on your busy day. Yogi Teas~ available in health food and many grocery stores are the best in my opinion for purity and effective combinations of herbs, flowers and spices, and they taste wonderful too. Remember to eat some high quality protein for Lunch. This warmer Spring season is perfect for eating freshly grilled fish and a green salad with a light coating of olive oil, lemon and herbs. Make it an early Evening Ritual to put your tootsies in a comfortably hot water and epsom salt footbath laced with just a drop or two of organic Lavender essential oil while you enjoy a vegetable juice “cocktail” which is an extremely healthy powerburst to your Immune and Digestive Systems~much livelier (alive!) than a plain old glass of vino…plus the juice “cocktail” will keep your figure improving. Dinner can be light and full of greens~ steamed kale, spinach, broccoli and a baked yam make for a satisfying end of your day food-wise. Before Retiring, thoroughly unwind with a soothing Bath or Shower using fun, holistic bath and body products for Spring. The LOTUS WEI line has some incredibly active, organic, and yummy~smelling Aromatherapy Mists, Elixirs and Serums that create mental and emotional states equivalent to their names like Quiet Mind, Inner Peace, Joy Juice, Inspired Action, Radiant Energy, Infinite Love~truly exceptional! 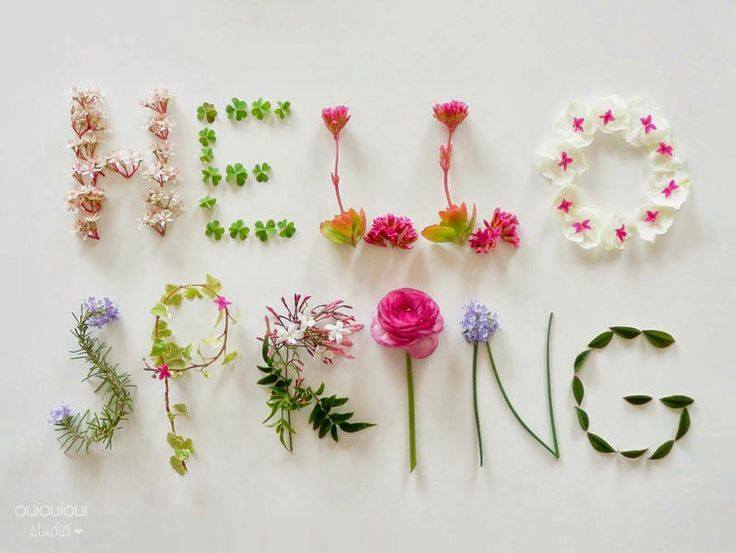 By engaging yourself in my inner and outer holistic Body Renewal Program during Springtime, you are working with the natural seasons and positively affecting your entire being–we all want to feel HEALTHY and ALIVE at this time of year. Follow my program and you’re sure to benefit in all the ways you’re meant to for a restored, relaxed, and full of focused energy SELF for Spring and beyond. My last important rec is for you to really enjoy this special time of year, wear sunblock, a cute hat, and lipbalm everyday.